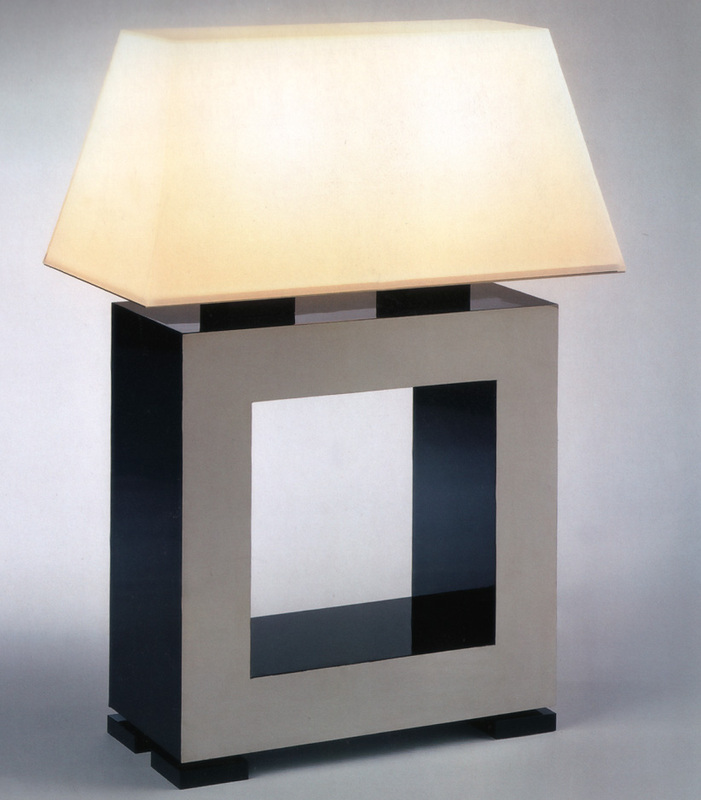 Madison Square Table Lamp: designed by the Dutch design group; Ravage Design. This beautiful modernist lamp duals as a stand-alone sculpture. One of the most elegant table lamps that was ever created. Simple, yet refined. A perfect fit for luxurious residential- or large scale projects. Includes dimmer. Structure in polished stainless steel and glossy black, glass opaline diffuser. Size: 31.1" height x 22.8" width. Custom order, usually ships in 8-16 weeks.